The key to integrating ITSM and Infrastructure Configuration Management is awareness, expectation setting and communication. But with many CMDB/CMS implementations failing to deliver the value expected, organisations are realising how tough this can be and how complex and wide-ranging infrastructure asset and configuration management is. 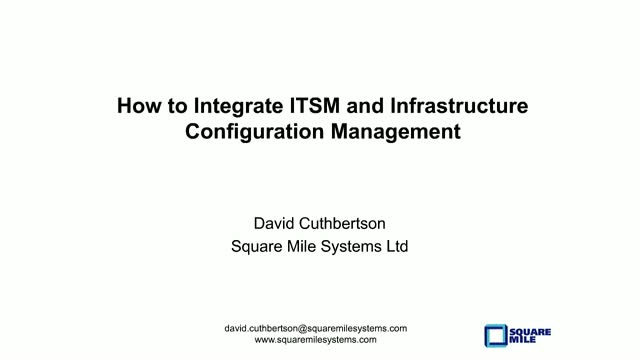 In this webinar David Cuthbertson looks at how to avoid de-scoped or failed Configuration Management implementations and how to put in place effective risk management processes.